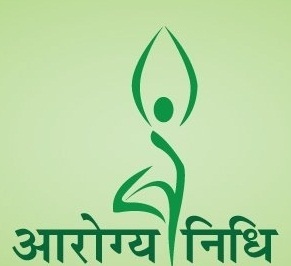 List of Ayurvedic Graduates and Staff Nurses to be placed as Mid-Level Healthcare Providers (MLHP). Postponement Notice for Interview regarding six (6) months Bridge Programme for Kashmir Div. Interview Notice regarding six (6) months Bridge Programme. Applications are invited for 6- Months Bridge Programme on Certificate in Community Health for Ayurvedic graduates and Staff Nurses. List of candidates who have been found eligible for various posts are called for Interview on 09-06-2018 at NHM Office, Nagrota, Jammu at 9:30am sharp. 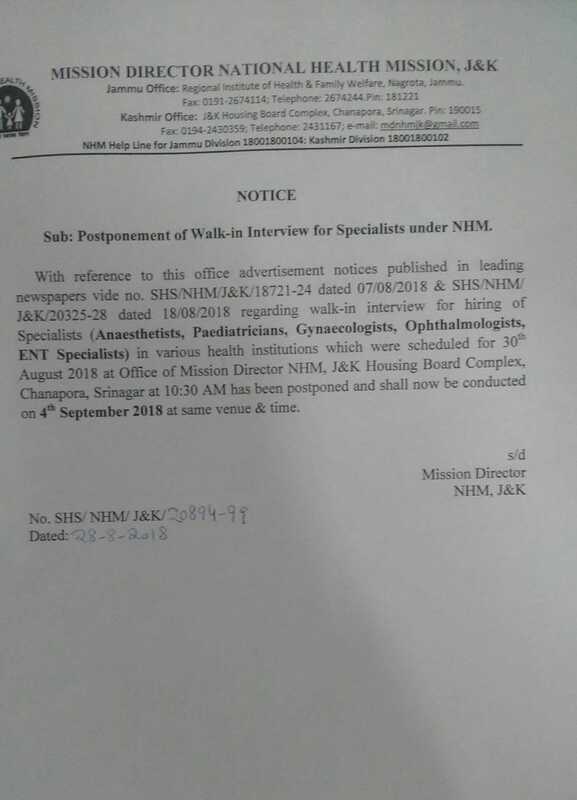 Publication of Advertisement Notice for contractual hiring of specialist-Medical officers (MBBS) under NHM (Jammu Division). Advertisement Notice For Contractual Hiring Of Services Under NHM. Provisional Selection list of candidates for Bridge Programme. Selection of Law Officer, Kashmir Division, NHM. List of candidates for various categories of posts in Kashmir Division Office of NHM, J&K.